Can the SABC avoid retrenching staff? The SABC announced on Thursday that it would not be continuing with a retrenchment process that has been sharply criticised by employees. The national broadcaster, in a statement, said it had decided not to renew a notice to invoke section 189 of the Labour Relations Act which governs how retrenchments proceed. It said it was doing this in the "interest of the SABC, its employees, key stakeholders and the South African public at large". "This follows constructive and extensive engagements with various stakeholders, including the Parliamentary Portfolio Committee on Communications, Organised Labour and our own employees." The cash-strapped public broadcaster had indicated in late 2018 that it was looking to reduce the number of permanent employees by 981, and the number of freelancers by 1 200. Update: The ANC said in a statement on Thursday evening that it welcomes the decision by the SABC to abandon its intention to retrench in excess of 1 000 employees. "The ANC has always believed that employers, inclusive of state-owned enterprises should exhaust all avenues before resorting to retrenchments. We are pleased that the SABC has elected not to renew the section 189 notice following constructive engagements with relevant stakeholders," said the ANC. "While we appreciate the challenging economic conditions, we remain convinced that creative solutions can always be found through honest and open engagements among the affected parties. 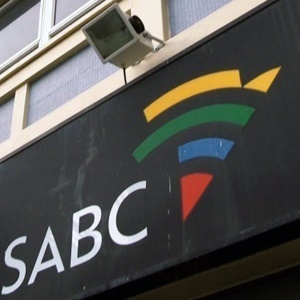 We are mindful of the fact that this step does not suggest that the SABC is out of the woods yet, but it is an encouraging step towards finding lasting solutions." The party commended Minister of Communications Stella Ndabeni-Abrahams and the Portfolio Committee on Communications for their leadership and guidance on this matter. It urged the SABC to continue engaging with stakeholders "towards rebuilding a robust public broadcaster the nation can be proud of".